At Mullenberg Designs we build homes for ideas. There are 4 basic steps to the build-out process: selecting a structure, prepping your contents, selecting cover materials and customizing your presentation structure. We offer a variety of presentation structures to professionally present your project. Selecting the right structure for your project is the first step in the build out process. What is going into your presentation structure? The answer to this question can go along way to helping decide what structure is best for you. Here are some helpful links and tips to help you. 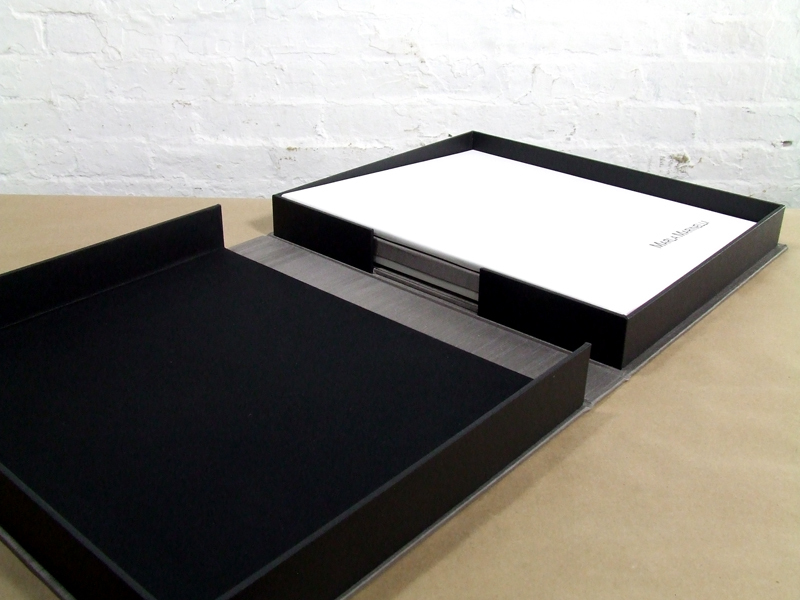 Determining size: All of our presentation structures are built out from the size of your print. There are industry standard sizes and we can work with most custom sizes. Click here for paper sources and helpful tips on prepping your prints. Printing: We don’t offer Printing services at Mullenberg Designs. Contact these recommended Printers. Choose cover materials for the portfolio. In addition you will need to choose the lining fabric for inside front / back cover. Order swatches to minimize any surprises over color and texture. We recommend the double matte end sheets as a professional finishing touch to your presentation. These custom made sheets are hand cut from drafting film. They work to protect your front and back images from wear and tear, while lending a elegant touch to your presentation. All of our Presentation Structures can be customized with a 2-Fabric Cover. This can be a dynamic way to set your presentation apart. As always this is a completely customizable add-on. We’ll work with you to determine what fabrics work together and design the layout. Hinging your pages allows for ease in turning your pages and your prints will lay flat in your portfolio book. We offer a variety of finishing options to bring your structure and presentation together cohesively. Scored pages work beautifully for trucking images across the gutter as there’s no break in the image.